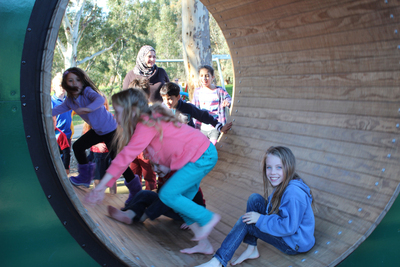 Bonython Park has been given a new lease on life thanks to the city council's great playground upgrade. 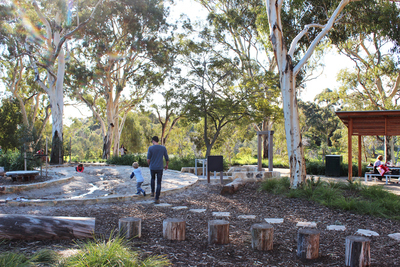 Tucked away in the city's north-west, Bonython Park is one of Adelaide's biggest family parks. There are multiple playground areas and plenty of space to run around. 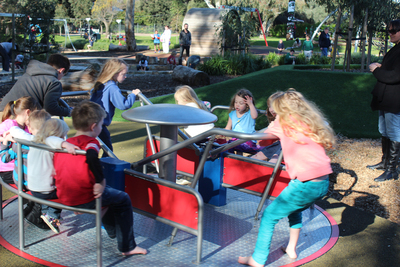 The newest play area rivals any of the other CBD playgrounds--making Bonython Park a great place for families. The new playground lacks your standard play structures. Instead there are slides build into hills, flying foxes, climbing frames, hamster wheels, and even an interactive water feature. The playground is very hands on. It is designed so that kids of all ages are able to enjoy and explore it on their own. We brought 6 kids between 2 and 12 along; they all had a blast. There's always a new thing to capture their imagination so they're not stuck playing the same games again and again. The playground also incorporates equipment for kids with physical or mental disabilities so that everyone can have fun. Next to the playground is a kiosk--open weekends, public holidays, and school holidays--that sells drinks and snacks. 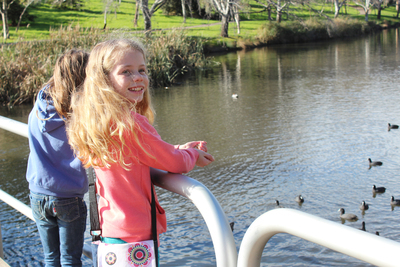 You'll also be able to buy bird feed to give to the ducks on the River Torrens. There is a path just behind the playground and a bridge that you can feed from. It's important to note that regular foods like cake and bread can actually be very unhealthy for ducks. So grab some feed instead. 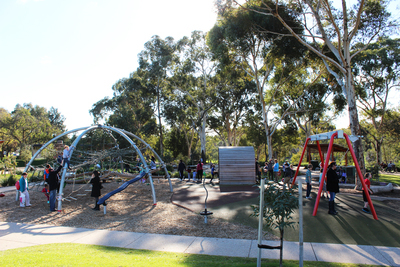 There are two other playgrounds around Bonython Park. They both feature fairly standard play equipment, but it's good to have an option at every end of the park. 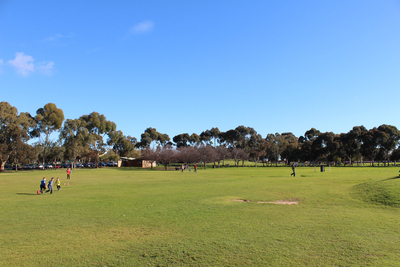 There is plenty of space to run around and have a game of chasey or footy. 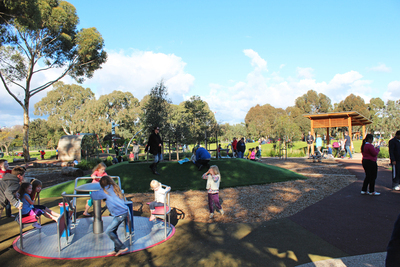 Bonython Park has all of your standard amenities, which is an important feature of a park where you'll be spending a lot of time. As well as useful stuff like barbecues, picnic benches and toilets, the park also has a few unusual--but fun--aspects. 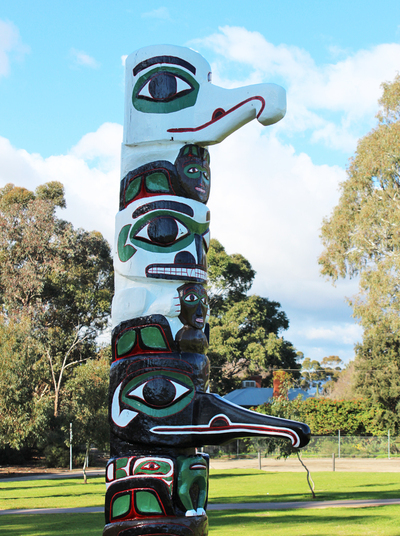 The first is the colourful totem pole donated by the Head Chief of the Gitwilgywat Band of the Tsimshian Nation in 1970. You can't play with it, but it adds a lot of character to the park. There's also the pond at the southern end of the park. On some days you can watch model boat enthusiasts sail their boats on the water, or you can bring your own along. It's quite small so other water activities aren't really available. Bonython Park also features some great hills which are perfect for rolling down. Bonython Park is occasionally home to a few touring festivals. It's something to bear in mind before you make the trip. You can get to Bonython Park by hopping on the tram to the Entertainment Centre. The tram is free if you hop on at any of the stops between South Terrace and the Entertainment Centre. 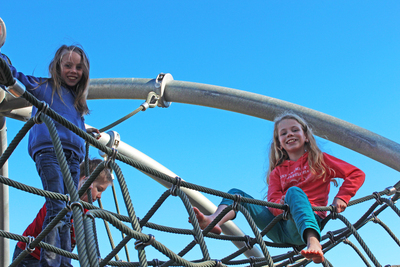 Bonython Park is one of our favourite CBD playgrounds thanks to the new activity hub. Have you checked out the new space yet?